A key element to this design was the choice of materials. 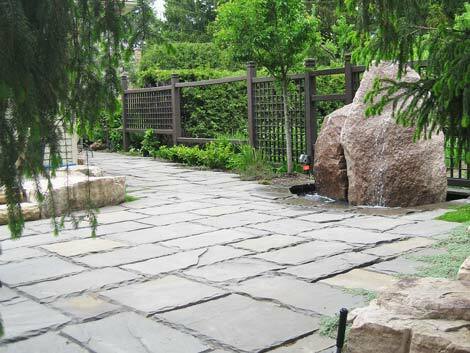 The feature stones, the pebbles, the paving and the fencing each had a role to play to blend perfectly with the property and its surroundings. 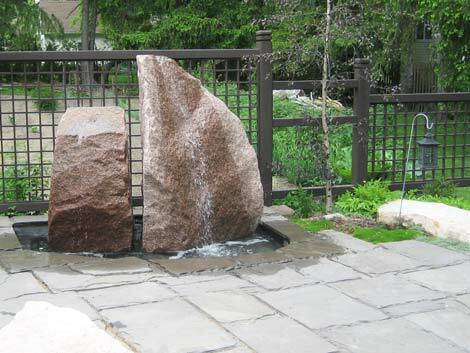 The water feature added a gentle sound to the background of its natural setting. What you see used to be an asphalt driveway coming in to grass at the back. 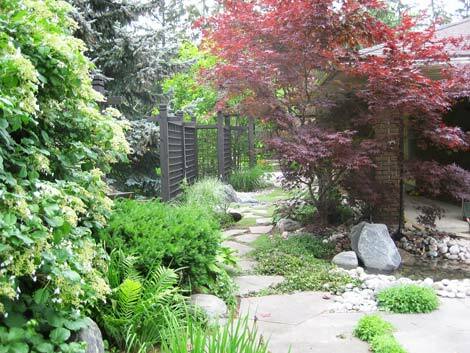 This unique property in Markham was created in stages - which can often be the best way to approach a garden project. 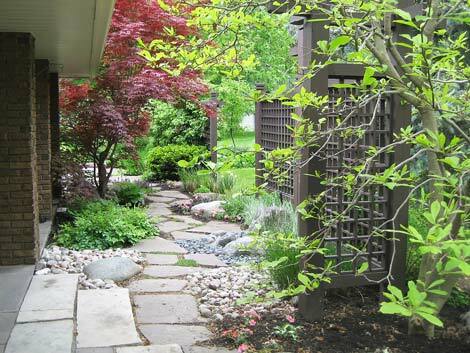 Initially introduced to the client while working with Parklane (a design build company), I project managed the construction and planting of the front/side garden. A number of years later, the client looked me up as I had left Parklane and they asked me to create another area of their property. I provided a full design and build service for this second stage including the restful water feature.